High yielding business trusts: A discussion. I was sorting out my preparation notes for my presentation at Invest X Congress on Saturday and found an article published in Channel NewsAsia which I printed out on 10 June 2014, just 4 days before the event. I had meant to share this at the event but I totally forgot about it. It was in my folder all along. Growing old and forgetful. I consoled myself by saying that even if I had remembered, I wouldn't have had the time to talk about it. Anyway, I will talk about it in my blog. The article was about business trusts and it said that "dividend yield payouts are a key factor to consider." Then, a consultant went on to say "If you want to invest in business trusts, you shouldn't be looking so much at capital gain... your objective is more dividend yield. Prices do come down, but you actually still get your dividend yield. "As of today, we're looking at some business trusts giving more than 10 per cent yield, of course at higher risk, but if you think that the risk is manageable, it's actually quite attractive at this point in time." 1. Dividend payouts are a key factor to consider, not the only factor. Indeed, it is not the only key factor either. Note that they used the indefinite article "a" and not the definite article "the". We have to look at other factors too. For example, how highly geared is the business trust. What kind of debts does it have and how are they structured? 2. When we invest in business trusts or in any asset with an eye to generate income, we should also keep an eye on possible capital gain or loss. It is possible to have our cake and eat it too which is sweet. It is also possible that we could lose a big chunk of our capital even as the investment distributes money regularly to shareholders. 3. If we say that we still get our dividend yield even if prices were to fall, it would be true if we were to base our calculations on our entry prices. Well, we can do this if it matches our motivation for being invested. However, doing this is not useful in helping us to decide whether to buy more or to sell some. We should look at the yield on our investment based on current day prices so that we can manage our capital more efficiently. 4. Does it make sense to invest in a business trust that delivers a constant dividend yield on our cost while its unit price keeps dropping over time? Could it be that we are taking back our own money? So, is the dividend actually a partial return of capital? So, we have to ask if the business trust is becoming less valuable over time? Prices do come down and even if we still get our dividend yield, we have to ask why. 5. When something is riskier to invest in, we should demand a higher yield to compensate for the risk which we are asked to undertake. How do we know if the yield sufficiently compensates for the higher risk? How do we know if the risk is manageable? Is the investment within our circle of competence to make such a call? So, although the consultant says that there are riskier business trusts available that offer more than 10% in dividend yield which is attractive at this point in time, we have to decide if these are suitable for us. Understand also that what risk is acceptable now might not be acceptable in the future. So, to make things simpler, it might be a good idea to simply to go for investments which have much lower levels of risk and yet deliver decent dividend yields to shareholders. When we invest for income, we must have certainty of regular distributions. Ideally, the dividend paid out regularly to shareholders should be sustainable and our capital should stay intact. It is about the investment having good fundamentals and it is about us getting in with a margin of safety. When we read any investment related publication, it is important to do so with a questioning mind. Don't take anything anyone (including me, of course) say at face value. 1. Invest X Congress: Q&A. 2. Rickmers Maritime Trust: 1 for 1 rights. 3. CitySpring Infrastructure Trust: Rights issue. 4. K-Green Trust: A bad investment? 5. High yields: Successes, failures and the in-betweens. 6. HPH Trust: Storm clouds over a safe harbour? 7. Croesus Retail Trust and Perennial China Retail Trust. 8. Portfolio review: Unexpectedly eventful. AK, How abt Religare Health Trust? Gd dividends yield & in health care industry. Downside risk is weakness in rupees. Remember that the sponsor waiver to income distributions ended on 31 March 2014. The sponsor has a 28% stake in the Trust. So, expect yield to decline proportionally. It will be quite a big decline. How about MGCCT? It's trading below NAV and looking tempting. However, its gearing level is rather high at 38% and there could be limited room for growth through acquisitions. At 87c a unit, it is trading with a 7.2% yield and a 7.5% discount to NAV. FOREX risk is something to bear in mind, of course, as with all Trusts that have foreign properties. So, we would want a slightly higher distribution yield to cushion possible weakness in exchange rates. When I looked ya religare Trust some time back, one thing that really jumped at me when I read the prospectus is that they have 2 law suits on the land of which their hospital stand. And one of it is a major rev generating hospital. Pardon me if I remember the fact wrongly, is have been a year or more I think. That really turn me off from investing despite the yield. I read judiciary process in India is super duper long, and ineffective which can drag on of parties have the muscle. But I rather not take the risk. APTT risk look more decent. I just re-read your comments and noted your statement there could be limited room for growth through acquisitions. Is this due to the 38% gearing or other reasons that make acquisition difficult. It is true that with only 2 properties in the Trust, it seems too few. This is a concern too. Thanks for weighing in on this. I am not familiar with the details of the lawsuit RHT is involved in. Only read it in passing. It certainly adds a higher degree of uncertainty. As for APTT, I am not sure if its income distribution is sustainable at current levels. So, I would turn buyer at lower prices as that would give me some cushion against any reduction in DPU. Yes, with only 2 properties, there is a high degree of concentration risk. I foresee that MGCCT would have to do some form of equity fund raising in order to acquire more properties to reduce concentration risk (and earn some fees in the process). With gearing relatively high, this is a logical expectation. Technically, 86c is the immediate support while a stronger support is at 85c. I have ascendas reit, it have been sell down recently. Do you know any particular reason and should i buy more. Thanks for the article, which I more than agree,that getting that dividend should not be at the expense of our capital shown in the share price. MGCCT at 38% gearing is high, Croesus is similiar too before recent acquisitions and now higher at 53%. However for Croesus, you vested at 87cts, may be share how you weigh MGCCT and Croesus gearings. People are willing to pay a premium for A-REIT because of its pedigree and it has, in fact, done well over the years by growing value for shareholders. Paying a premium for A-REIT compared to other industrial S-REITs is to have confidence that A-REIT will continue to grow in value which should be reflected in its unit price. Since I am not so sure whether this would indeed continue to happen, I choose to avoid paying a premium for it. 1. With gearing of about 40%, a distribution yield of 8.5% is good enough for me to be interested. 2. CRT had 4 properties and all freehold. There are risks associated with both business trusts, for sure. A common one is forex risk. 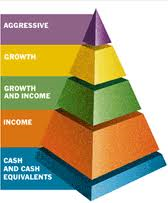 As income investors, we want to ensure that we are compensated adequately for risks which we have to bear. What is adequate compensation? Being a regular retail investor with simple ideas, to me, a higher yield free of financial engineering will help to cushion any downside. In terms of continuity of dividends, protection against inflation etc, the reit that seems to stand out is Park Life. While this safety factor is reflected in the lower yield (around 4.7%)and a hefty premium over nbv, could we not say that the 4.7% is much better than keeping the war chest in cash which in fact depletes with inflation. When we pay a premium to NAV, we must have very robust arguments why we are doing so. All of us like well run REITs. However, are we giving up too much in distribution yield just to get our foot in one like Parkway Life REIT? To invest in a 35% geared entity for a distribution yield of only 4.7% is just not attractive to me as an income investor. From a simple income perspective, I could invest in SPH which has a single digit gearing for a higher yield of 5%. Of course, we should really compare against First REIT which I much prefer and have a large exposure to. One thing people seem to be overlooking is the spectre of a rising interest rate. Parkway Life REIT's much lower distribution yield means that the unit price would have to come down more in order to maintain the spread to make it attractive to investors when compared against the 10 year SGS. I would be worried about this if I were to buy in now. Er... I don't give advice de. Not allowed to lah. -.-"
You seem to really want to invest in MGCCT. You must have very robust reasons why. Go through the reasons and if you are convinced that it is a prudent investment at 87c, why not buy some? Oh, I am just talking to myself as usual. No advice given. Please don't be mistaken. -.-"